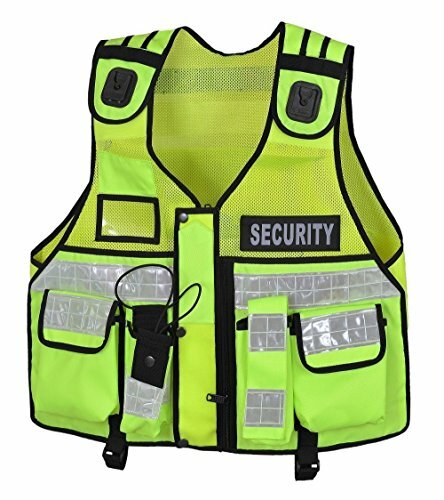 - This adjustable Hi Viz vest is made with Nylon 600D Cordura and Quality Strong Mesh fabric. 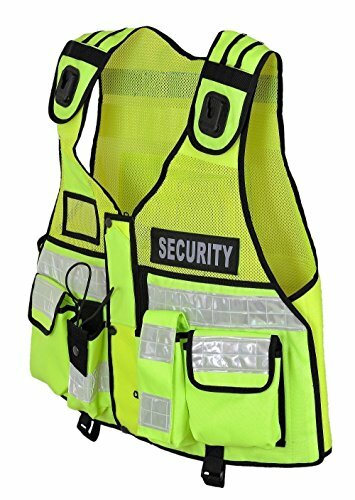 - High Visibility Scotch lite tape around the vest to give hi visibility at night time. 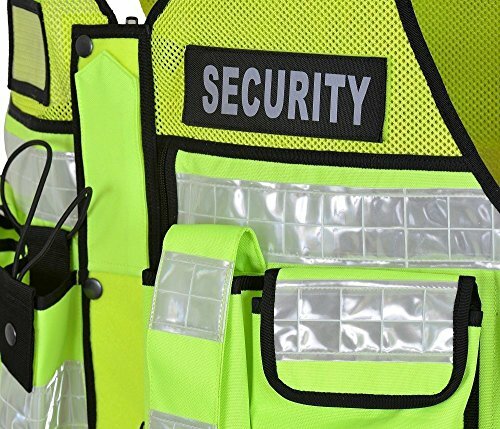 - Ideal for Security Officers, Community Wardens, Enforcement Officers, Dog Handlers , and First Aid. - It will fit sizes up to XXL and may fit a larger size depending on body shape and clothing worn underneath. 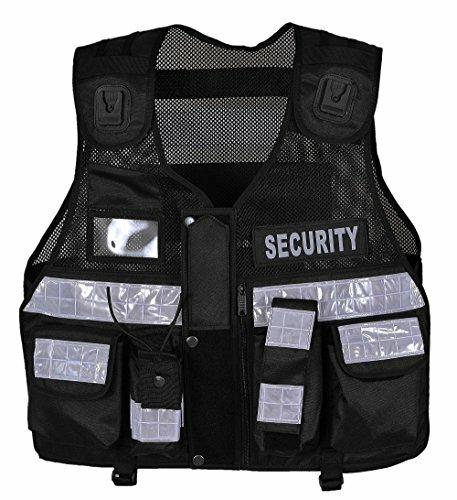 - Velcro adjustment on the shoulders and around the waist help you get the perfect fit. 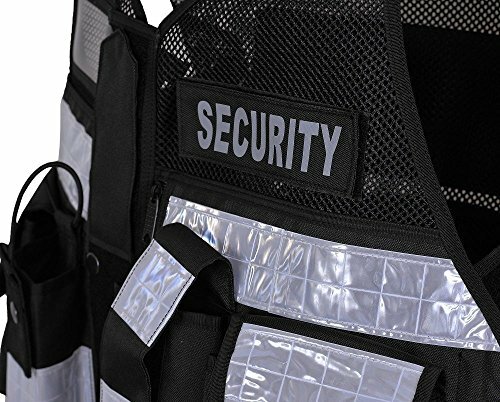 - On the rear of the vest there is a strong carry handle for when the vest is fully loaded or in the case of emergency to drag the unconscious/Injured officer to the safe place. - Center front YYK zip with covered Flap with Velcro to Place different badges. 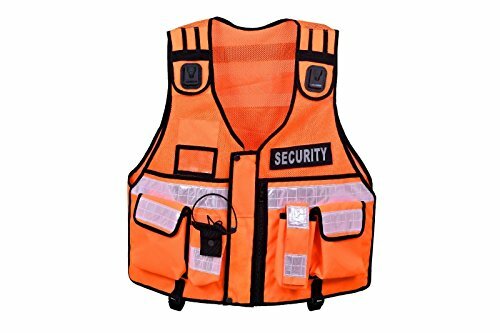 - REMOVABLE Velcro patch so you can fit your own badges. 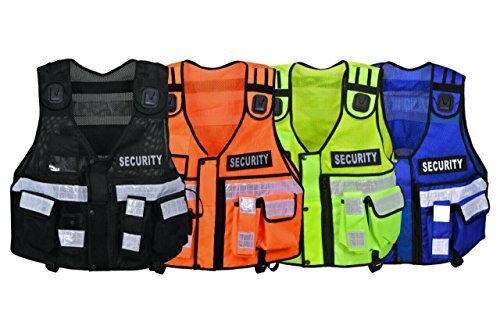 For a standard size reflective Security/Dog Handler badge and the other for a name/rank or company logo badge ( THIS VEST ONLY COMES WITH FRONT AND BACK SECURITY BADGES AS SHOWN IN PICTURES) - On the front you have two utility click holders for a radio, mike, CCTV camera, or a Klick Doc adapter. - There is a clear window pocket for your SIA Licence or other ID badges also there are two plain blank Fabric patches at front and back to Give the staff number. 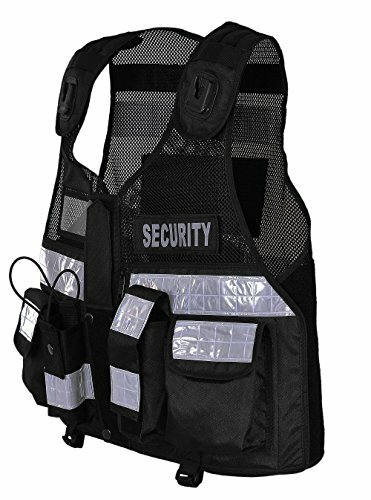 - The vest has a radio pocket with elasticated securing string strap. There is also a sleeve for a small Fire Extinguishers / torch with securing flap. - Back Pocket with too zips and blank screen to give Staff number. 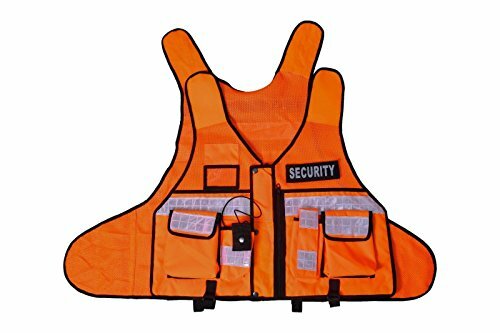 - Front and back hem straps with buttons to attach the vest with trouser's belt for safety.